Order your Jac Zagoory Designs Pewter Atlas Pen Stand - PEW today from FahrneysPens.com. Fine Pens, Refills & Luxurious Gifts – great prices & fast shipping. 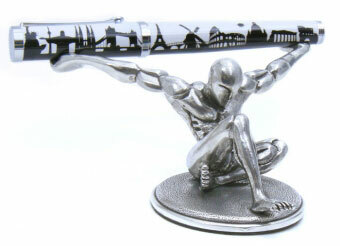 This pewter Atlas pen holder demonstrates strength and poise. The perfect gift for a new office. Still proudly made in the USA.